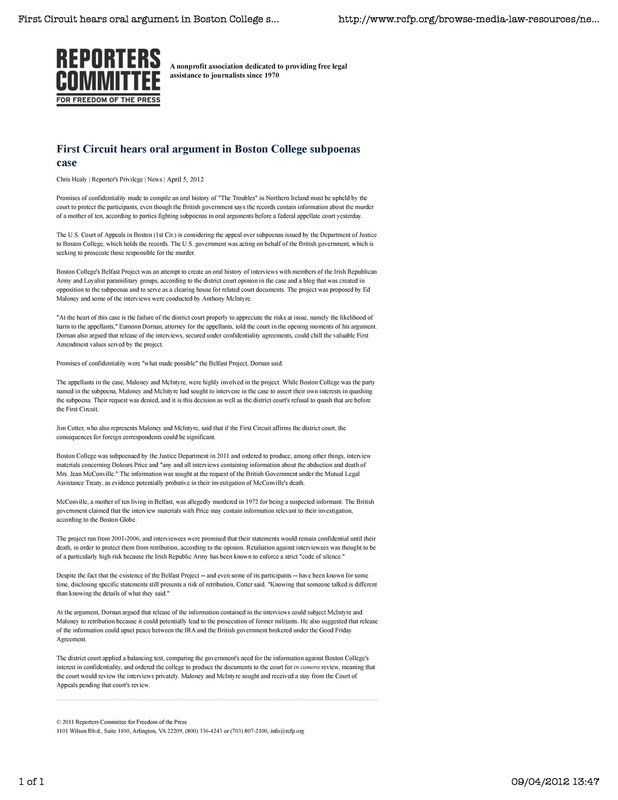 Two of America’s pre-eminent lobbying groups for journalistic rights have joined the fight against the PSNI/US government attempt to confiscate confidential Troubles-related interviews stored at Boston College. 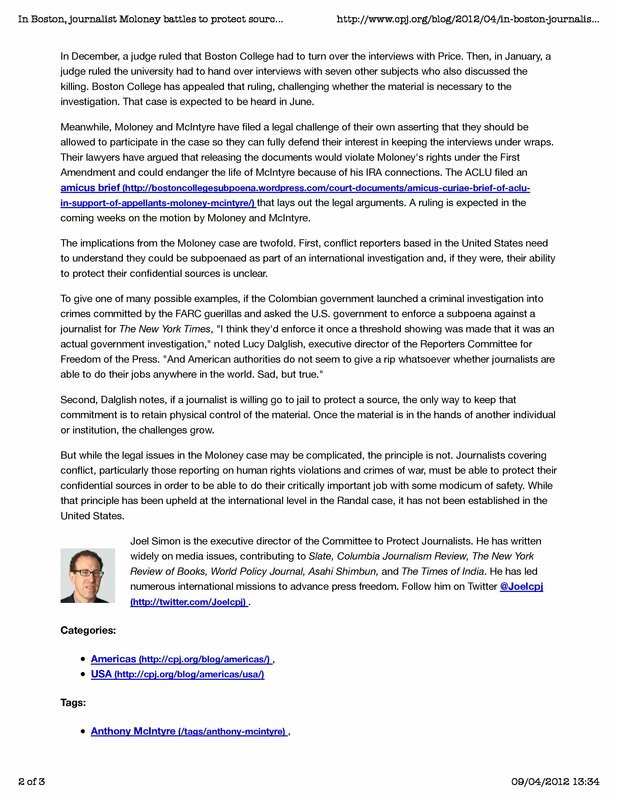 One is the Committee to Protect Journalists whose history and activities are chronicled here and here. The other is the Reporters Committee for Freedom of the Press, which can be read about here and here. My grateful thanks go out to both organisations. 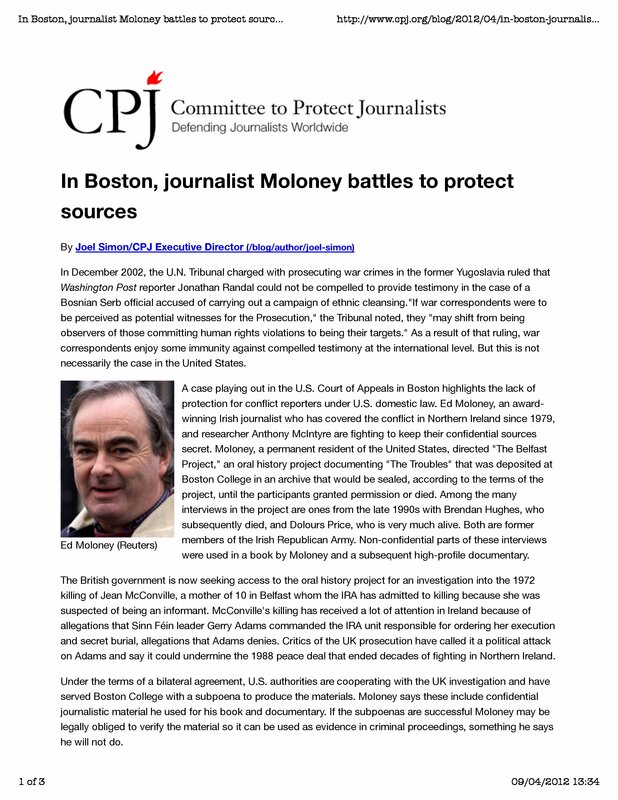 The CPJ played a huge role back in 1999 in frustrating the RUC’s attempt to confiscate my interview notes with Billy Stobie, the UDA Quarter-Master who informed his Special Branch handlers of the UDA plot to assassinate Belfast attorney, Pat Finucane. The SB, of course, sat on their hands, allowing the UDA to kill Finucane. The RUC’s successors in the PSNI have continued the tradition of turning blind eyes and deaf ears to crimes committed by or with the assistance of their forebears. Equally British PM David Cameron has no qualms about allowing the PSNI to rummage around in Boston College’s archives while refusing anyone permission to go near MI5, FRU and RUC Special Branch records on the Finucane killing. I owed CPJ a great debt of thanks back then as I do now and I also want to thank the Reporters Committee for their support. Here are articles that appeared recently on their blogs. So, What Has Been Happening In Libya? An interesting piece from gulfnews.com about Libya six months after the rebellion which ousted Col. Muammar Gaddafi from power and led to his death. 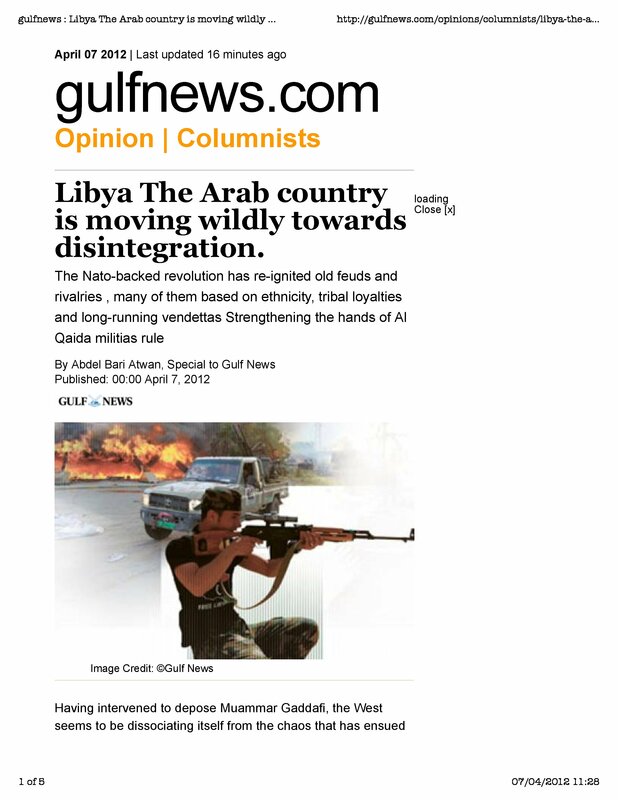 Libya has more or less dropped out of the news and the focus of Western media attention has shifted to Syria. 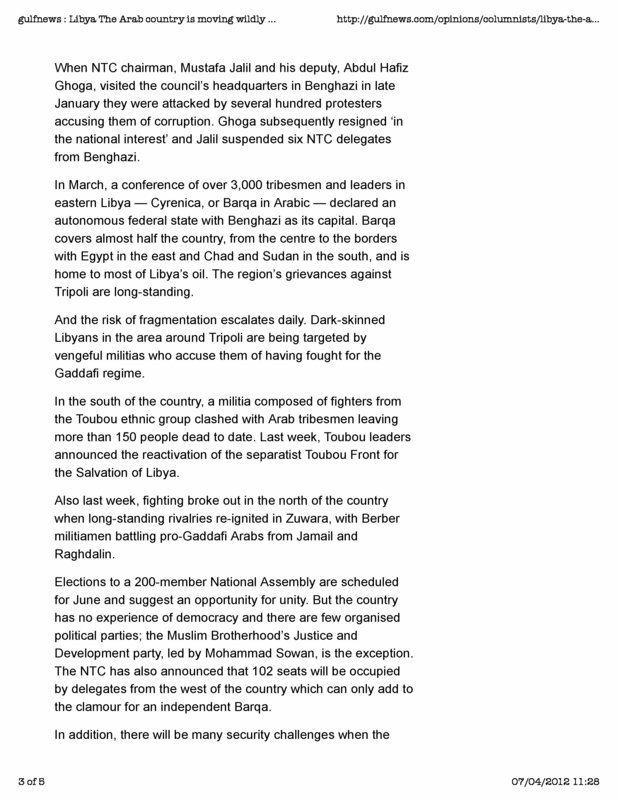 From this account it seems that the West, having accomplished the downfall of Gaddafi and secured control of the country’s oil supplies, has decided to leave Libya to its fate, allowing the country to disintegrate into tribal and regional conflict. Wasn’t this all supposed to have been about restoring democracy and the rule of law to Libya, returning dignity and prosperity to its people? The fragmenting of Libya, its removal as an obstacle to Western ambitions in that part of the Middle East carries a message the people of Syria may want to heed.